The Duchess craft were a development between Boating scene of Basildon and L H Jones and son of St. Ives. 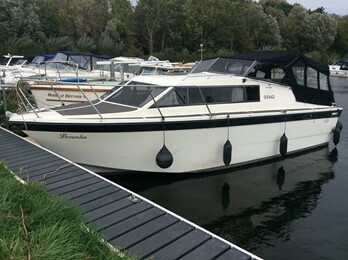 As old sailing friends Lawrie Weller and Alaster Gray of L H Jones got together and designed a new motor cruiser based on the Seamaster 820 mouldings which were provided by Viking boats.The idea was to produce an easily handling low powered cruiser for river use. About 10 of these boats were built.